The Economics of Land Degradation (ELD) Initiative is an innovative initiative that has created a big splash over the past four years by leading the way in exploring and defining the economic relationship between man, land and land-based ecosystems.The initiative has been hard at work at making the economics of land degradation an integral part of policy strategies and decision making by raising political and public awareness of costs and benefits of land and land-based ecosystems, which is reflected in the Value of Land report - the ELD’s latest flagship publication. The ELD Initiative recently held its 2016 Strategy meeting from 10 – 13 May 2016 in Bangkok, Thailand. The event brought together partners and stakeholders from the ELD network to reflect critically on Phase I and II of the Initiative, develop a strategic roadmap of outcomes and actions for Phase III (2016-2020), and explore additional research opportunities that supplement international land management efforts. This meeting followed the establishment of Sustainable Development Goal 15 on Land, and a re-aligned focus on land degradation neutrality as specified explicitly in SDG 15.3. More than 25 partners from 19 institutions across all 6 continents attended the dialogue-oriented, participatory event over the course of 4 days, many of whom further presented on their ELD-relevant research and projects, successfully enhancing mutual understanding and increasing knowledge exchange for greater efficacy in the ELD network. 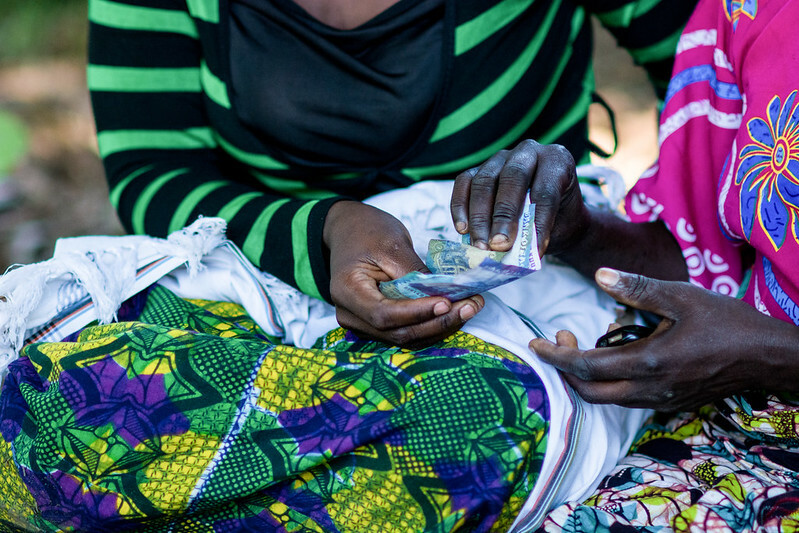 Country-level case studies and comparative research with identified partners and countries, possible funding from UNDP, the Global Environment Facility (GEF), etc., in many regions. GEF in particular would be useful, as they have an established 40 year history of country-level work. Targeting youth, who are a key demographic and we should be making more of an effort to engage with them if we want the efforts of the ELD to carry forward. Analyzing the economic impact of dust and sandstorms through the UN General Assembly (UNGA). Game proposal around SLM, a 2-3 year project to create an underlying simulation model to engage stakeholders while capturing information and sharing knowledge. IMAGES: Interactive Mapping of Global Ecosystem Services. There are a lot of people mapping ecosystem services we should work with to develop a global scale database, to be scaled down to national levels and made relevant to policy-makers. Academy for business and landscape: Though we are focused on the scientific community and policy makers, this is an opportunity for the Initiative to reach young professionals and interlink with the private sector. This would involve online training that could link with projects on the ground (e.g., Common land). An ELD synthesis initiative. ELD could host a synthesis workshop to come up with practical solutions that can be carried out to tackle land degradation. On the concluding day, tangible ways and actions forward were selected, with partners self-assigning participation. Set deadlines ranged from the next few weeks to September 2016. Agreed-upon actions included: finalizing the strategy document; finalising the EC proposal (including the internal one); developing 2 page proposals and budgets for the Initiative to review (as listed above); drafting a concept note for a data/knowledge management program; the search and selection of national champions and ambassadors; data-basing of technical advisors (to policy-/decision-makers) focused at country level; developing the communications framework plan/strategy; collecting a database of expert contacts; writing a project outline for the IKI proposal, and finally; sharing of Initiative’s 12 month plan, calendar of events for 2016-2017 for strategic engagement and synergies, and the outcomes of this meeting. Overall, the meeting was successful in establishing a vision for the way forward for the ELD Initiative based on a critical analysis of past efforts and outputs. Phase III will build on that, emphasizing on-the-ground research projects inclusive of data analysis, capacity development, and increased knowledge management through the Initiative’s extensive network through until 2020. 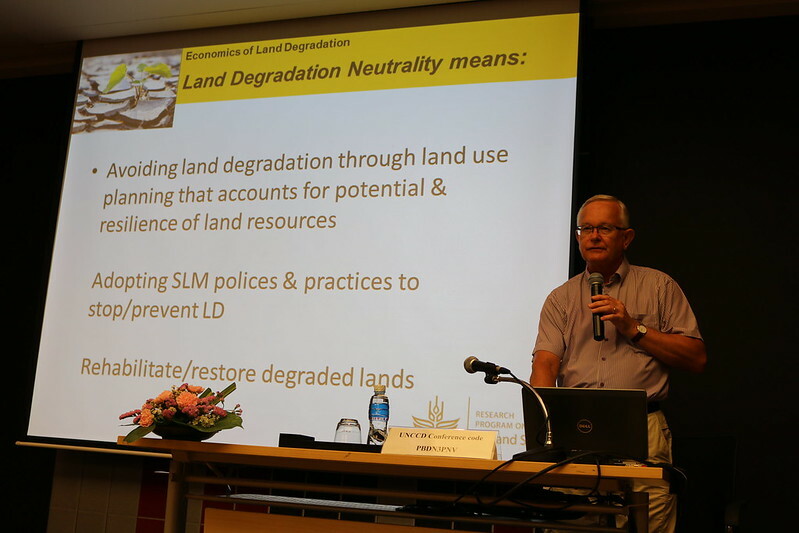 Find out more about the ELD Initiative, and read about the global campaign on combating land desertification that the ELD was recently involved in with the CGIAR Research Program on Dryland Systems. Tobias Gerhartsreiter is the Communications Officer at the ELD Initiative’s Secretariat under the GIZ.